The Middle Hundred: Do You Know What It Means (To Miss New Orleans)? Do You Know What It Means (To Miss New Orleans)? Six years after my mother's funeral and the sale of her family home in Uptown, I returned to New Orleans. It had been on my mind from the moment I left, but I could not imagine the city without my mother in it. And then I got one of those emails that, in Joseph Campbell terms, represented my "call to adventure." Ruth Brewington, the brilliant librarian at T.H. 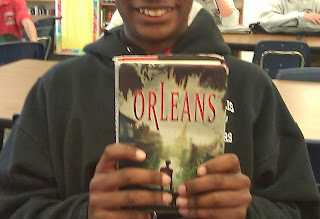 Harris Middle School in Metarie had been using ORLEANS to teach her students about Katrina (Hurricane Katrina that is. For some reason, I feel we are on a first name basis, that storm and I). And by "using" I mean using-- every little last part. She was breaking down the curriculum the way a good cook uses every scrap of meat on a pig to feed a huge crowd. 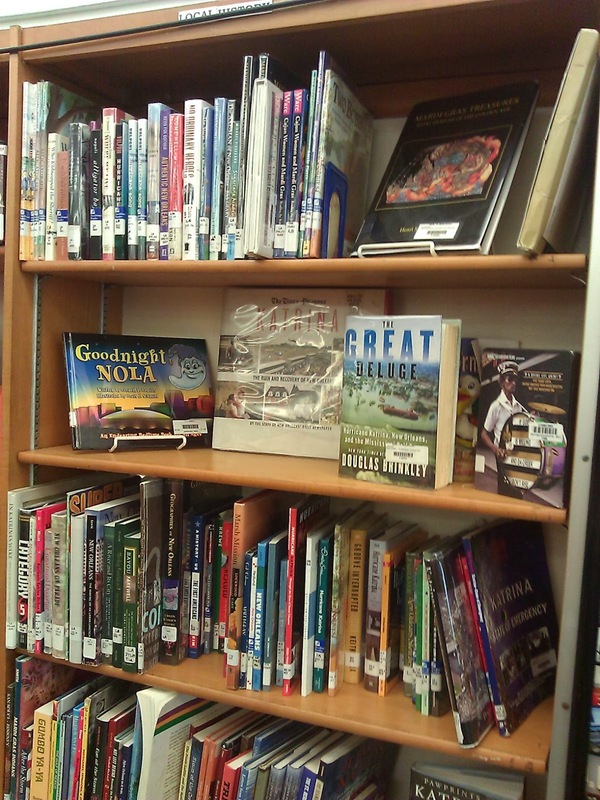 The Reading, science and Louisiana history classes were all tackling the book. 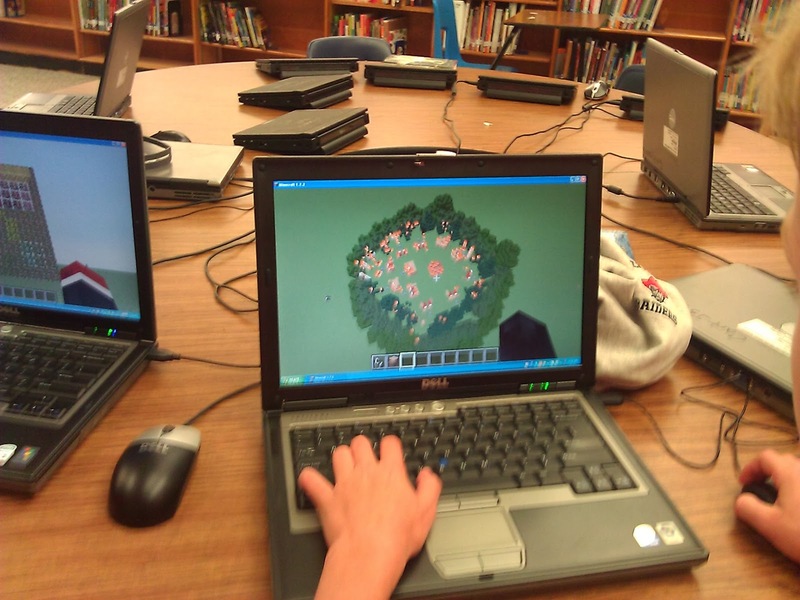 Her students had been busy: 1) building the world of ORLEANS in Minecraft-- Fen's village and the Market (the Market floods! ); 2) bartering in a game she'd created, trading Halloween candy for goods to get Baby Enola out of the city alive (it turns out candy is a powerful currency, but far too easy to eat); and 3) visiting actual locations from the book. The kids were drawing maps. Ms. Brewington had a tour planned of the the Market (the French Market in the Quarter), the Professor's Place (Sacre Coeur school in Uptown), the Library where Fen reads the ominous email (Latter Memorial on St. Charles), and so on. 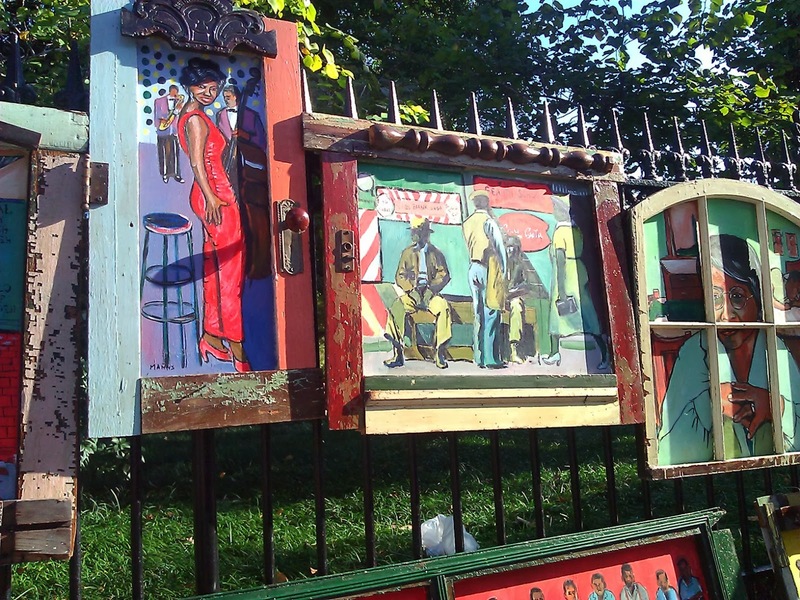 The trip, she said, would begin with a visit to the Presbytere Museum on Jackson Square for their "Living with Hurricanes: Katrina and Beyond" exhibit. It was scheduled for All Saints Day, just like in the novel. Would I be willing to come down at some point and speak to her kids? 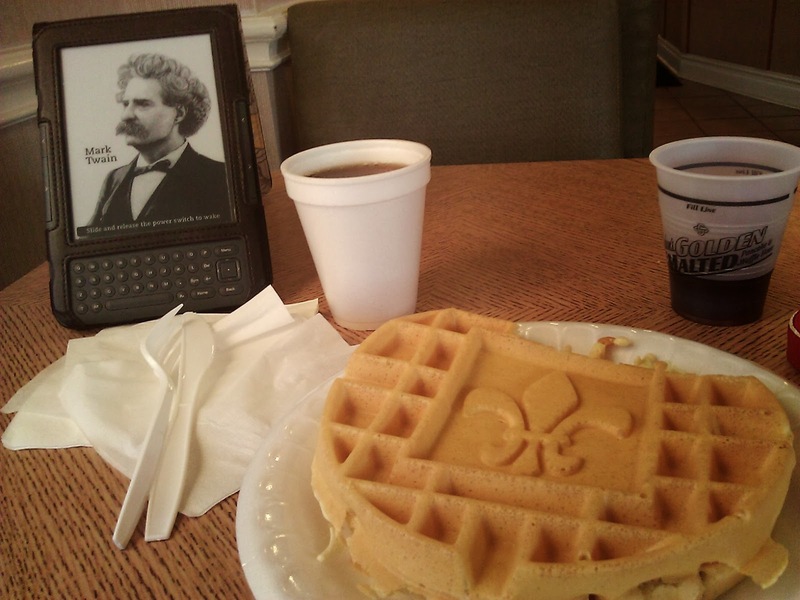 I flew to New Orleans with a lump of fear in my stomach. I'd never been to the city without family beside me or waiting before. I was afraid it would be hard. It was. But it was also like coming home. I spent a day visiting the old family home, and walking through the French Quarter. Ruth had urged me to see the exhibit at the museum. I am so very glad I did. My photos, sadly, are much too dark and blurry to post here, but believe me when I say it was a moving experience. Video diaries combined with news coverage, sections of drywall where a man kept a diary while trapped in his home by floodwaters. Sections of chairs torn out of the Super Dome. Amazing Mardi Gras costumes made from those darned blue tarps the Army Corps draped across the city. 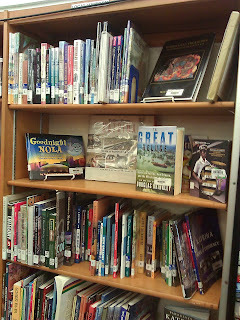 An in-depth display on the science of hurricanes, and the importance of wetlands. Small black marbles representing flood waters roll through metal pins that rise and fall as the wetlands give way to buildings, and the city goes under. And then a moment of reflection and renewal, as residents tell stories of survival and rebuilding. It was intense. And worth the trip alone. But then, there was New Orleans, waiting outside to get reacquainted. 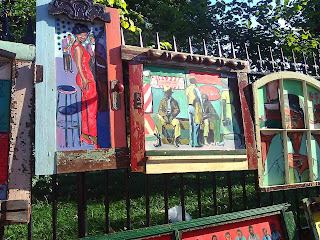 Beautiful art by Wayne Manns framed in 9th ward salvage. My first stop? Felix's. 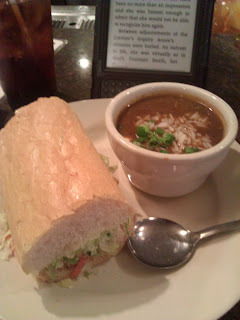 One of my mom's old go-tos for oyster po'boys. 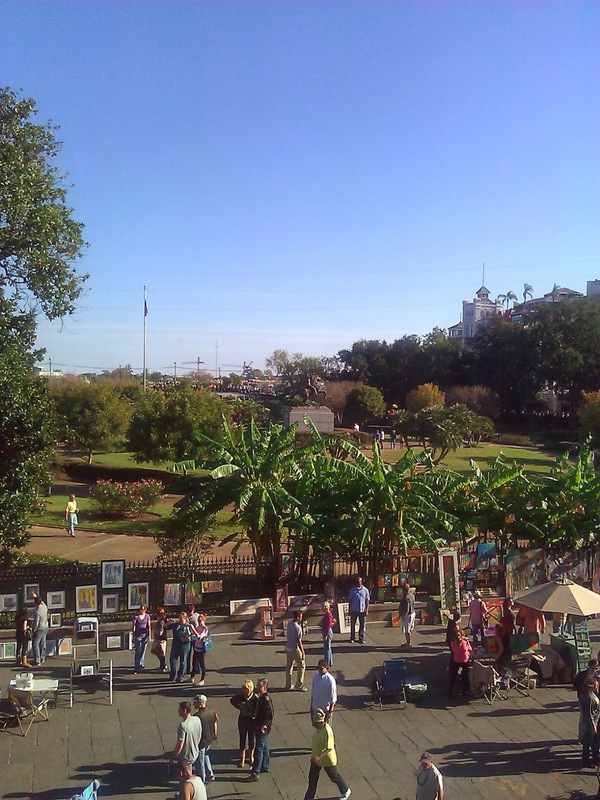 Then I moved on to the reason I go to the Quarter in the first place. 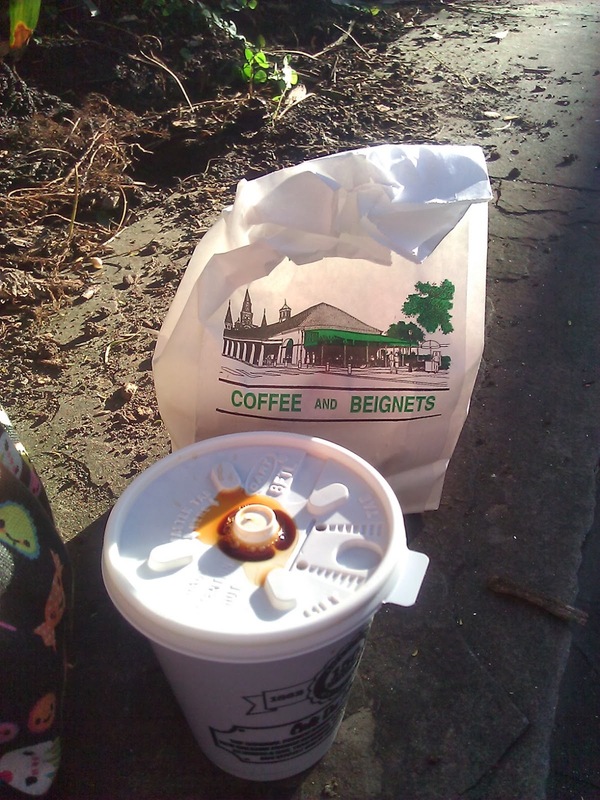 Cafe du Monde. 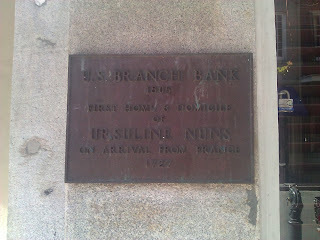 Couldn't resist a nod to the Ursulines along the way. There's something about the food in New Orleans that's not like anywhere else. I was hungry for it. It had been too long. Breakfast at my hotel. Love it! And then, it was time to visit Harris Middle School. Do you see the smile on this kid's face? His copy of ORLEANS is downright battleworn! I toured Orleans in Minecraft and watched a computer glitch bring snow down on the city. In another simulation, we walked through the OP camp in a simulated AB attack. It was surprisingly emotional to watch the camp burn, even in 16-bit resolution. It was an amazing trip. I am so very blessed that Ruth found my book and turned into a meal that could feed a village instead of just one reader. Thank you, Ruth! And thanks to all of the smart, funny, devoted readers at T. H. Harris Middle School. You brought me back to my roots, and I will always be grateful. Then my hat is of to Miss Cindy for making ORLEANS come alive in such an amazing way! Thanks to Ruth and Cindy for all of their dedication to students and the rich heritage of New Orleans. Thank you for writing such a wonderful book that resonates with students at Harris hopefully eveywhere. I also can't wait for the next novel. Thanks, Mary! It was a joy to be surrounded by such obviously good, talented folks. How fantastic! I love, love, LOVE IT!!! Boy is mind churning! This book just has SO much potential! SO much! I cannot believe that Felix's is one of your favorites. 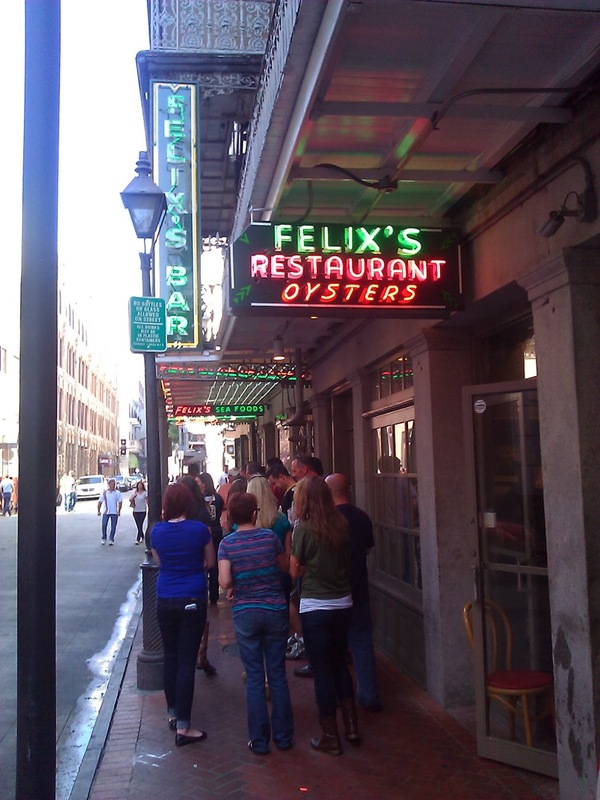 I was only in New Orleans once quite some time ago now, but one of the few things I remember is that place because of its name! Too funny. What a fun post this is! Thanks for sharing it. 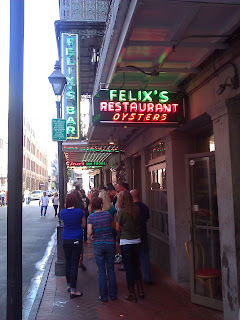 Felix's has been around forever. It's not quite the same as it used to be, but it still felt like home. I'm the award-winning Young Adult author of ORLEANS, FLYGIRL, SPARROW, LUCY THE GIANT and HOT,SOUR,SALTY, SWEET. 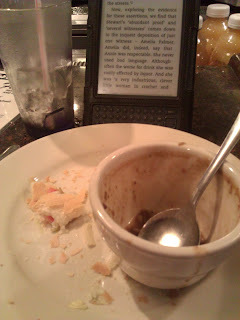 This blog follows my travels and my work as a writer. New Year News - BCCB Blue Ribbons Announced!